Thanks for visiting our web page. Central Christian Church is a loving community of faith; where everyone is welcome. Our church family is made up of people from all over the world, with a wide variety of lifestyles and viewpoints, yet we are all united in our dependence upon God and our love for Jesus Christ. At Central Christian friendship, worship, charity, service, diversity, tolerance, and working for social justice are dominant elements in the life of the church community. 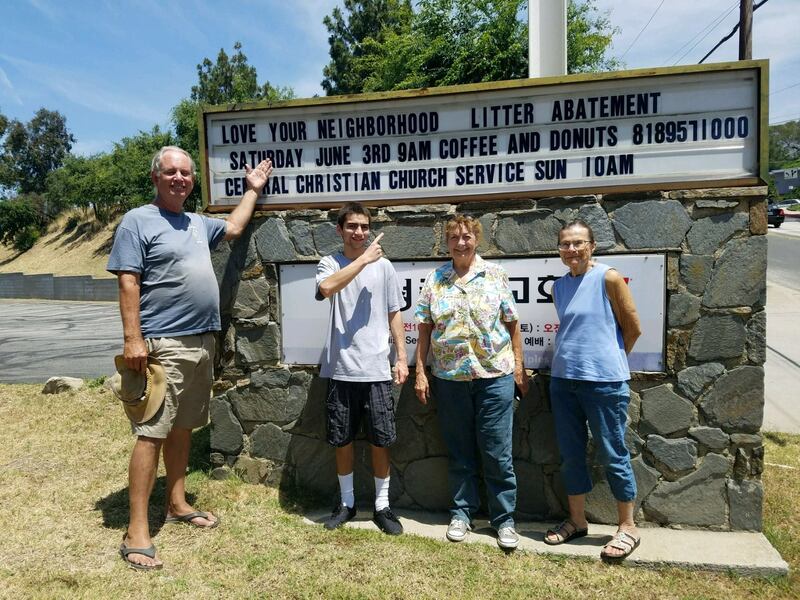 Central Christian Church has been serving Glendale since 1908 and has played an active role in the community. Pastor Davis has served the church and community since 1993. Come and make some friends this Sunday! Central is a church where everyone will know you name! Join us this Sunday for our multi-generational Bible Study at 9 a.m. and Worship at 10 a.m. Our worship service takes place in the multi-purpose hall toward the back of the facility. Wednesday evenings there is an informal book study at 5:30 p.m at 4459 Lowell Ave. a few blocks north of the 210 Freeway. Our worship includes praise singing, hymns, prayers, open communion, and an exploration of the scripture lesson. Call us at 818-957-1000 for more information about C.C.C. Want to Join the Disciples of Christ Web Ring?